Yes you can have it all. Creative Cloud gives you all the apps you need for any creative field you want to explore. You can seriously make almost anything. Create and share an animated video in two minutes. Or make a feature film with the same editing tools they're using in Hollywood. Make a website for your band. Or your business. Discover what a creative genius you are. Impress your professors. Blow away recruiters. 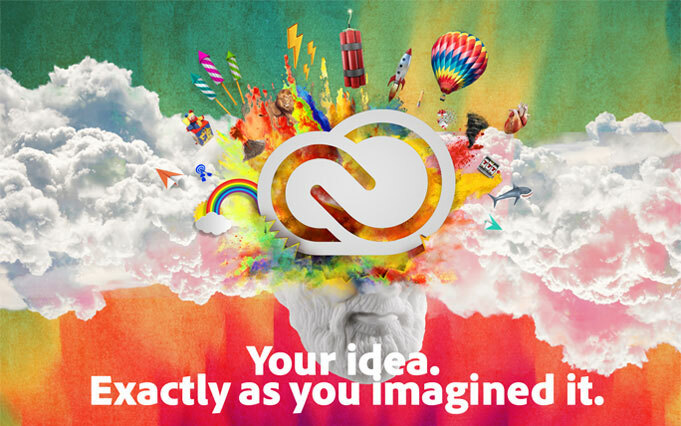 With Creative Cloud, you have the tools to take your projects from average to amazing. You can get people talking about your work. And with Photoshop and Illustrator on your resume, you can get people talking about a job offer. Plus you'll always have access to any new tools and updates we release. So whatever the next wave is, you'll be on it. Mobile apps to set your ideas in motion. Sketch, draw, and edit photos on the go with brand-new Creative Cloud connected mobile apps. They're packed with power for pros, but fun and easy for anyone to use. Refine your work on your desktop and share from almost anywhere. Just touch. And go. Your creative world. It's everywhere you are. With Creative Cloud, your files, fonts, colors, photos, and even your creative community and collaborators are always at your fingertips. So you can work wherever work takes you. Let your ideas out to play. The old boundaries are breaking down. Photographers are branching out into video. Designers are learning code. It's less about your major and more about finding new ways to tell your story. With Creative Cloud, you'll have the tools to experiment in any medium. Behance is seamlessly integrated into Creative Cloud, so you can share your latest portfolio piece with a click, right from your apps. Upgrade to a custom portfolio with a free Behance ProSite. And show the world's leading creative community your best work, in the best light. Adobe Photoshop software delivers even more imaging magic, new creative options, and the Adobe Mercury Graphics Engine for blazingly fast performance. Retouch with greater precision, and intuitively create 3D graphics, 2D designs, and movies using new and reimagined tools and workflows. Create top-quality vector artwork for any project, from logos to illustrations for advertising, packaging, signage, and more. Use precise drawing tools and expressive natural brushes to create graphics that get noticed. Adobe InDesign software is a versatile desktop publishing application that gives you pixel-perfect control over design and typography. Create elegant and engaging pages for print, tablets, and other screens. Use Adaptive Design Tools to easily repurpose layouts to look great on a variety of pages sizes, orientations, or devices. Adobe Flash Professional software is a powerful authoring environment for creating animation and multimedia content. Design immersive interactive experiences that present consistently across desktops and multiple devices, including tablets, smartphones, and televisions. Website design without coding. Create unique desktop, tablet, and smartphone versions of your sites. Easily add touch-enabled functionality, such as slideshows, using drag-and-drop widgets. Set up icons to dial a number, bring up maps, and open email. Adobe Dreamweaver CC web design software provides an intuitive visual interface for making and editing HTML websites and mobile apps. Use Fluid Grid Layout designed for cross-platform compatibility to create adaptive layouts. Review designs with Multiscreen Preview before publishing. Create interactive and animated web content. Edge Animate lets web designers create interactive HTML animations for web, digital publishing, rich media advertising and more, reaching both desktop and mobile with ease. Adobe Premiere Pro CC software combines incredible performance with a sleek, revamped user interface and a host of fantastic new creative features, including Warp Stabilizer for stabilizing footage, dynamic timeline trimming, expanded multicam editing, adjustment layers, and more. Ready to switch to the ultimate toolset for video pros? Adobe After Effects CC software lets you deliver cinematic visual effects and motion graphics faster than ever before with new Global Performance Cache. Extend your creativity with built-in text and shape extrusion, new mask feathering options, and the fast, easy-to-use 3D Camera Tracker. 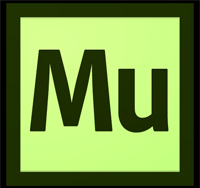 Adobe Audition CC software offers high-performance, intuitive tools for audio editing, mixing, restoration, and effects. Powerful new features such as real-time clip stretching, automatic speech alignment, and control surface support help you deliver projects faster than ever. Easily animate a 2D character using your webcam. Digital photo processing and editing. With the Advanced Healing Brush in Lightroom, you can quickly fix image flaws and seamlessly remove just about any object with a single stroke. Adobe Acrobat DC software lets you deliver highly professional PDF communications. Create and edit PDF files with rich media included, share information more securely, and gather team feedback more efficiently. Turn the shapes, colors and other inspirations you capture into creative assets that are always at your fingertips as you work across desktop and mobile. Sketch, draw, create layouts and edit photos and videos on the go with the power of apps like Photoshop on your phone or tablet. Creative Cloud brings all your assets together so you can do your best work anywhere. Adobe Hue CC: Custom creative looks to enhance video footage. Design and illustration: Create layouts and draw expressively on your mobile devices, and even preview mobile designs on iOS devices. Adobe Preview CC: Preview mobile designs on your iOS devices. Visual Storytelling: Craft visual stories, animated videos and edit with the power of Premiere Pro CC on mobile. Adobe Slate: Turn any document into a beautiful visual story -- in minutes. Adobe Voice: Animated videos in minutes. 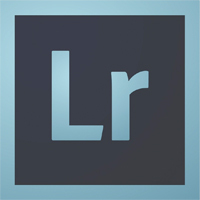 Photography and Creative Imaging: Bring the power of Adobe digital imaging to your mobile devices, with full Photoshop and Lightroom compatibility. Adobe Photoshop Mix: Creative mobile image editing. Community: Showcase and discover creative work, and connect with the creative community. Behance: The world's leading community for showcasing creative work. Creative Portfolio: Sync and display your mobile portfolio to prospective clients. Creativity Anywhere: Easily access everything you need to create -- from assets to learning content -- anywhere you are. 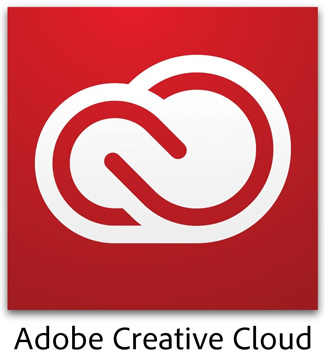 Creative Cloud for iOS: Mobile access to your Creative Cloud account. Creative Cloud Tutorials: Hundreds of free video tutorials for every experience level. Creative Cloud Libraries: Your portable creative library. Open 24/7. Creative Cloud Libraries makes your favorite assets available to you and your creative team anywhere. Create and share colors, character styles, graphics and more in your favorite Creative Cloud desktop and mobile apps, and then access them across other Creative Cloud apps for a seamless workflow. Libraries can be shared with anyone with a Creative Cloud account, making it easy to collaborate, keep designs consistent and even create style guides to use across projects. Creative Cloud Assets: Curated assets for every creative project. Creating great work just got easier with our collection of high-quality, curated assets that are free to every paid Creative Cloud member. Creative Cloud Typekit: Use beautiful fonts in your design Typekit is a subscription font service that brings thousands of fonts from foundry partners into one library for quick browsing, easy use on the web or in applications, and endless typographic inspiration.